I just want to say a really big thank you to everybody who came to my exhibition launch last night in the Workmans Club. I had a great night and I hope you all enjoyed it too. It was my first opportunity to display any of my pictures in public and I have to admit I got a real blast out of hearing peoples reactions to the photos and finding out all your favourites. To say I am happy is a huge understatement. Here’s a photo of the Phoenix Park just to celebrate. And for anybody who couldn’t make it last night, I know it’s hard getting out on a Tuesday night, the show will continue until the end of April. You can go and view the photos anytime until then. The bar itself opens every day from 5pm, so feel free to pop in and grab a quick pint, cocktail or just a coffee. Thanks again, and thank so much for all your kind words. To purchase a signed 12 x 8 inch print of this photo, just click the button below. You can either pay directly via paypal or with your own credit card. The Prints are €25.00 each and that includes shipping to anywhere in the world. Your print will be made to order and will ship out within 48 hours. 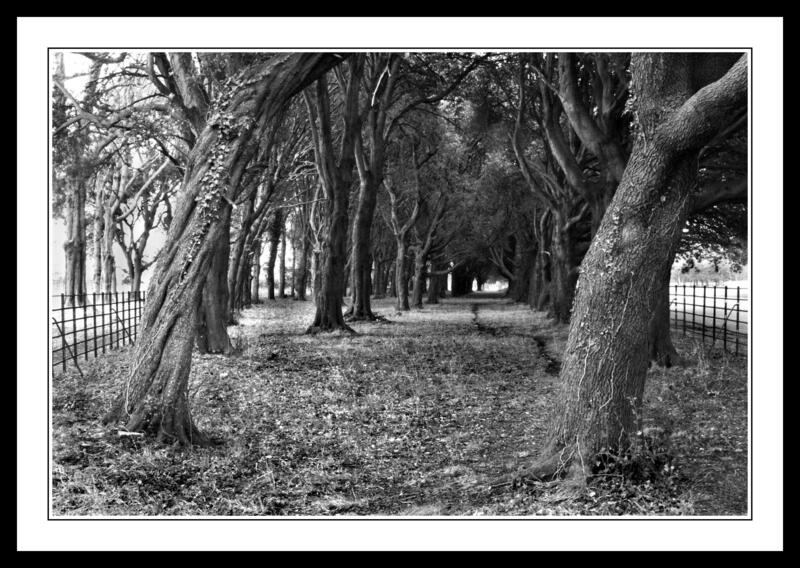 This entry was posted in Black and White Photography, Film Photography, Irish Landscapes, Phoenix Park, Photography and tagged Black and White Photography, Phoenix Park, Phoenix Park School, Photography, Trees. Bookmark the permalink. Thanks for the inspiration. I have been taking the b&w challenge. I did a few new b&w pics on my post today. I’ve just been looking at you black and white shots now. Really lovely. Are you enjoying the new challenge. I find it makes you think about photographs a little bit more than normal. I really like the shots of the trees, one called “Reflections” in particular. Keep it up and thanks so much for your kind words. I’m like a happy boy who has just opened his very first exhibition today. That and just a little hungover.